To share your thoughts on the Viewpoint or send questions to the editorial and creative team, please email editor@pointloma.edu. 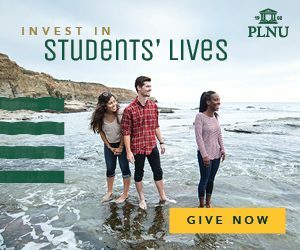 If you would like to receive the Viewpoint print magazine in the mail three times a year (spring, summer, and fall), please send your full name and mailing address to alumni@pointloma.edu. Additionally, if you would like to have a PDF version of a previous issue emailed to you, please email alumni@pointloma.edu.